She has studied mind/body medicine at the famed Benson-Henry Institute for Mind-Body Medicine at Harvard Medical School and has been featured as an expert in numerous publications including Glamour, Fitness, Time, More, Women, Wall Street Journal, CNN, WebMD, Prevention, Huffington Post, Yahoo.com, Ladies Home Journal, Dr. Oz’s The Good Life, First, and Women. Dr. Gruver has appeared as a guest expert on over 250 radio and TV shows including NPR, SkyNews London, Every Way Woman, Morning Blend in Las Vegas, CBS Radio, and Lifetime Television, and has done over 200 educational lectures around the world for everyone from nurses in the Middle East to 911 dispatchers in New Orleans, corporations around the US and teachers in her own backyard. She just completed work on a project for the military to create and institute a stress reduction program. For fun and stress relief Dr. Gruver does flying trapeze and hip hop dance. 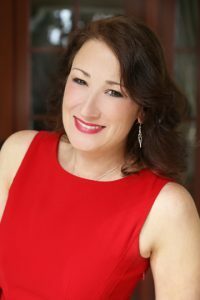 A past winner of NAWBO’s Spirit of Entrepreneurship Awards, Kathy maintains a massage and hypnotherapy practice in Santa Barbara, Calif. She has also produced an instructional massage DVD, Therapeutic Massage at Home; Learn to Rub People the RIGHT Way™ and is a practitioner with over 25 years of experience. Her award-winning book, The Alternative Medicine Cabinet was turned into a national talk show. I write to reach more people. The more I know about health, wellness, fitness, nutrition, stress, etc., the more I can help others take control of their health and their lives. I’m definitely not an outliner. I tend to just start and see where it goes. One of my books used large chunks of my dissertation, so I had to rework stuff I had already written. I think sometimes that’s harder than just writing from scratch. Also for the most recent book, Journey of Healing, I dictated a lot of my work. And then put it in the book. My brain works faster than my fingers, so the dictation saved me tons of time typing. I do a lot of driving from Santa Barbara to LA so I have a lot of time in the car. I find it’s one of my most productive times. And with today’s technology, I can just speak and my phone will write it down. It saves me tons of time, though sometimes the autocorrect makes some interesting sentences. Do it! Sit down and write if you have a desire to do so. Get it out of you. You never know who may be touched, amused, moved or helped by your words. We all have a story to tell. And at some point stop futzing with it. We can make changes forever, at some point you have to call it done. At the beginning of 2016 I realized I really wanted to republish some of my work with a traditional publisher. That is NOT an easy thing to do, most do not want to republish something unless it sold really well. But I found a great publisher who is in the process of republishing Conquer your Stress and hopefully one or two of the others. Then they, of course, have right of first refusal on any of my future works. I think we’re going to see more and more self-published and that’s both a good and bad thing. The bad part of that is that anyone can be an author so a lot of self-published POD is pretty bad. And it drags really good books down with it. The good part is that anyone can be an author, so for someone that couldn’t get an agent or a publisher, they have an opportunity. Though I think physical books will always be around we’ll be seeing more ebook and audio formats.